Today, the San Marcos Food Blog is incredibly happy to be reviewing the newest addition to San Marcos Pizza and my new favorite place to eat on Saturdays . Of course, I am referring to Pie Society! Pie Society is another addition to the San Marcos food scene from the Katz brothers who also own and operate some other great local spots like Dos Gatos Kolache Bakery and Zelicks. 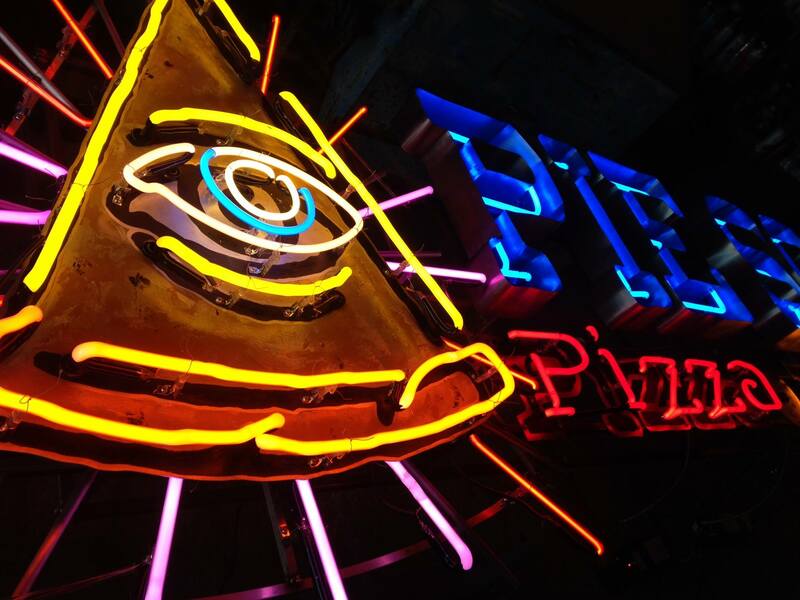 This pizza parlor has a unique feel to it with its secret society theme and original and thoughtfully-crafted menu. The dining area is very open and quite modern in its accents with family style tables and some smaller ones as well and features room for large and small groups. I really enjoy the staff as they are always very efficient to take my order and bring it out quick and piping hot. I have been waiting for a pizza place like this to open for a long time. I am quite obsessed with pizza and even lived on nothing but for at least two years. It is just one of those foods that boasts a crazy good combination of flavors in one bite. Further, pizza can be customized in so many different ways from toppings to sauces to crust that it really can be made in a thousand different ways. The problem is that many places just do not do this food justice. I have had a lot of mediocre pizza in my life with stuff like bland crust, cheap “cheese-like product”, and sauce straight out of a can. This is always incredibly disappointing. 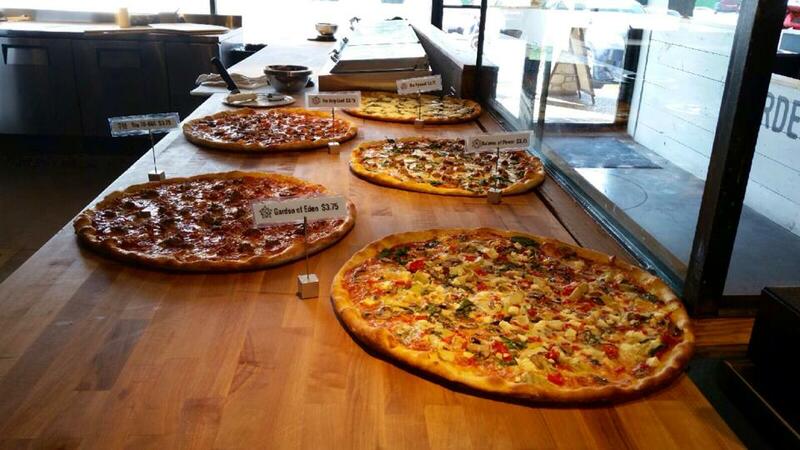 When one encounters truly well-made pizza, it can be a very special moment. I have also been to Chicago, New York, and Italy and had a lot of authentic pizza of different varieties and as a result, I just cannot settle for low quality pizza. Many pizza places are fine with the idea that if it looks like pizza and had all the stuff it should, then that is enough. But this just is not the case for me. I want large slices of pizza with a crust that is on the thinner side with a nice crunch, cheese that is stringy and delicious, a good variety of fresh topping choices, and sauce that has true dimension of flavor that Italian cooking is known for. This is why Pie Society is such a delight. They really have satisfied my stringent pizza cravings and then some. I could tell right away after my first couple visits that this place cares a great deal about fresh and high quality ingredients and really delivering a true pizza experience. That may sound exaggerated, but I truly love pizza and know many who feel the same and it really can be that special when done right. Pie Society is located at 700 North LBJ Drive suite #107 in the heart of the Texas State University campus. 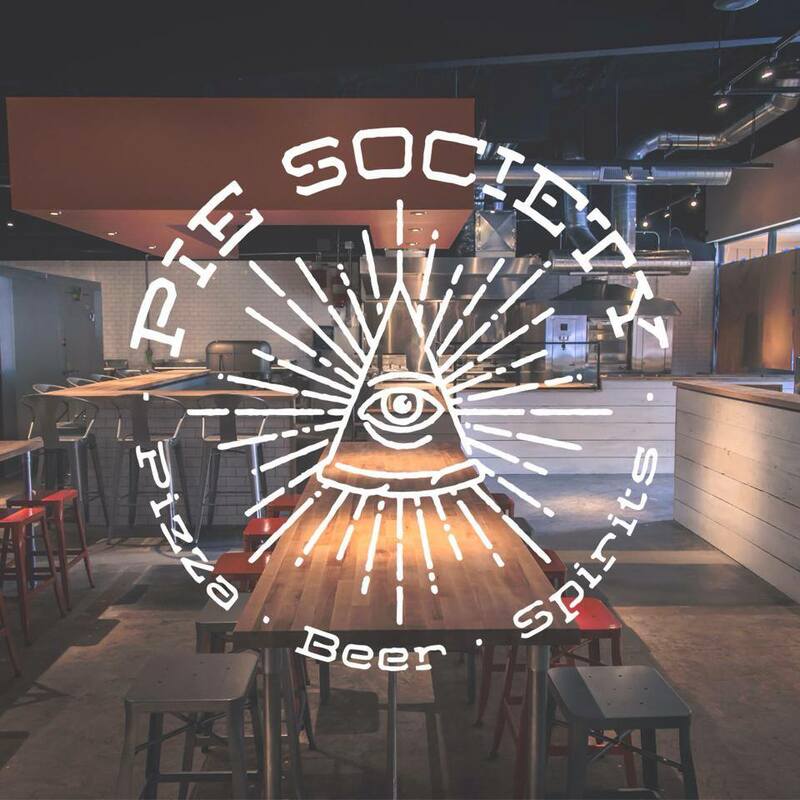 Pie Society offers a specially-crafted menu featuring several signature pizzas with unique topping combinations that one cannot find anywhere else in San Marcos or nearby. This includes homemade sausage w/ Texas honey, Angus beef meatballs, and Texas goat cheese(among many others). I have a couple personal favorites which are the Balance of Power(sausage and Texas honey) and the Pyramid(a white pizza with several cheeses of different textures, spinach, and garlic-infused olive oil). The honey adds just a perfect level of sweetness which brings out the flavor in the sausage, cheese, and tomato sauce equally and the pyramid has several types of cheese and the ricotta is so rich and pairs well with the garlic-infused oil. Eating these together is insanely delicious. “Hustle and Brustle Pizza Special” w/ bacon, shaved brussel sprouts & a honey balsamic reduction. I have been eating here for several months now on a weekly basis and have always had a great experience both with the pizza and with the staff. During this time, I got a ton of pictures of pizza and here is just a few of my favorites. I sometimes forget to take pictures before they are gone hehe but this should give you an idea of how much pizza I have eaten from Pie Society. 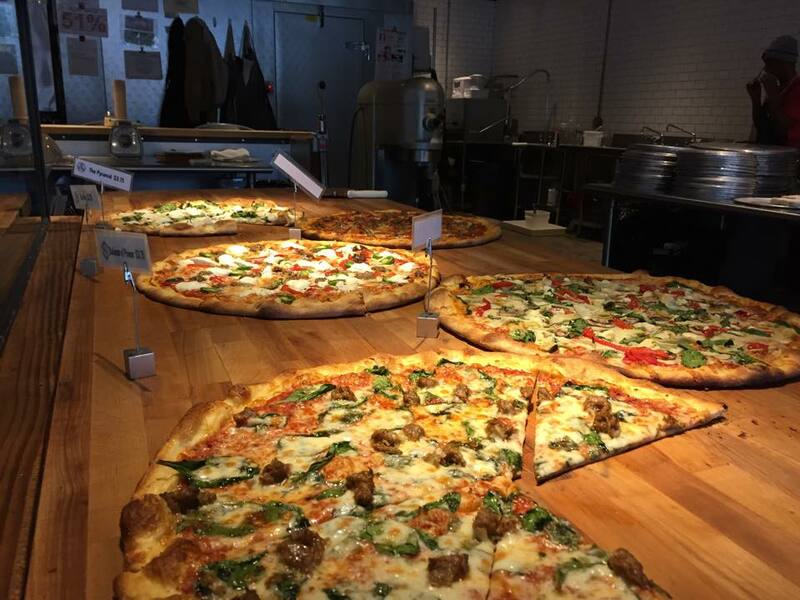 So if you are looking for a real pizza place to satisfy even the strongest pizza cravings, I really think you will love Pie Society as much as I do. I have to salute them for finally giving me a go-to pizza place. you guys are awesome!